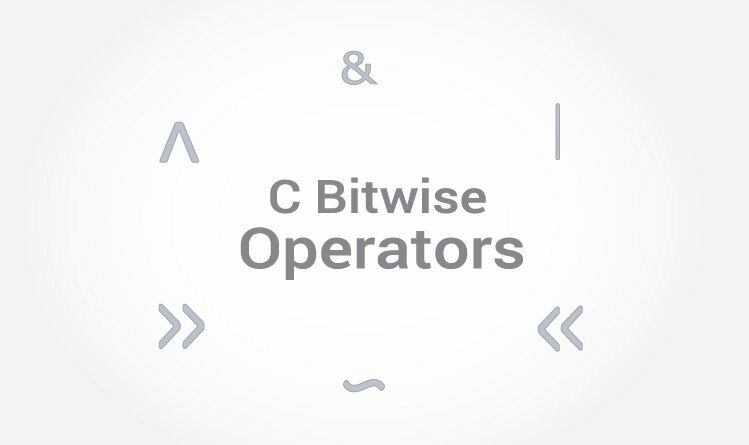 In this tutorial you will learn about all 6 bitwise operators in C programming with examples. In arithmetic-logic unit (which is within the CPU), mathematical operations like: addition, subtraction, multiplication and division are done in bit-level. To perform bit-level operations in C programming, bitwise operators are used. The output of bitwise AND is 1 if the corresponding bits of two operands is 1. If either bit of an operand is 0, the result of corresponding bit is evaluated to 0. Let us suppose the bitwise AND operation of two integers 12 and 25. The output of bitwise OR is 1 if at least one corresponding bit of two operands is 1. In C Programming, bitwise OR operator is denoted by |. The result of bitwise XOR operator is 1 if the corresponding bits of two operands are opposite. It is denoted by ^. Bitwise compliment operator is an unary operator (works on only one operand). It changes 1 to 0 and 0 to 1. It is denoted by ~. The bitwise complement of 35 (~35) is -36 instead of 220, but why? For any integer n, bitwise complement of n will be -(n+1). To understand this, you should have the knowledge of 2's complement. Note: Overflow is ignored while computing 2's complement. The bitwise complement of 35 is 220 (in decimal). The 2's complement of 220 is -36. Hence, the output is -36 instead of 220. Right shift operator shifts all bits towards right by certain number of specified bits. It is denoted by >>. Left shift operator shifts all bits towards left by certain number of specified bits. It is denoted by <<.